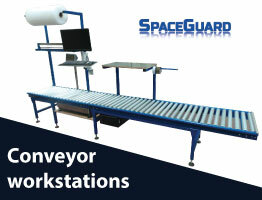 Spaceguard Food packing conveyor products are supplied fully welded, either manufactured from stainless steel or durable powder coated, Spaceguard is able to take the food packing conveyor concept from design through to installation. 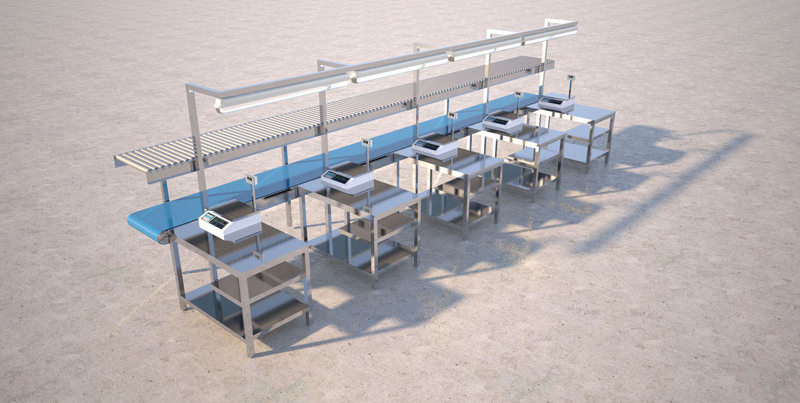 With accessories available from storage, electrical, IT equipment fitted and lighting options to additional shelving, Spaceguard is an ideal partner for your food packing conveyor requirements . 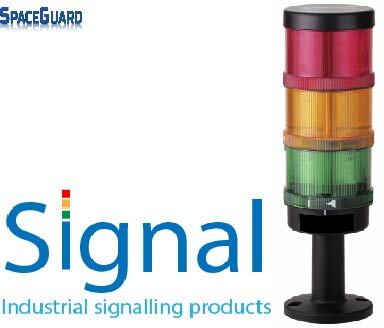 From direct food to packed product, Spaceguard as a UK manufacturer works with our customers to ensure the right solution which gives real savings in productivity, quality and ergonomics are achieved. 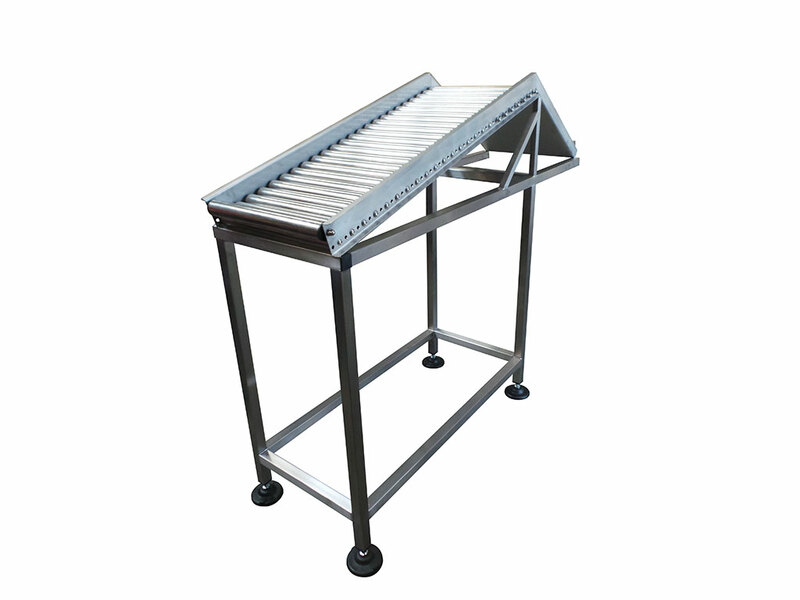 Full food packing conveyor stations, which bring products and packaging to the packer and has automation to take away the packed product, Ideal for boxing products. 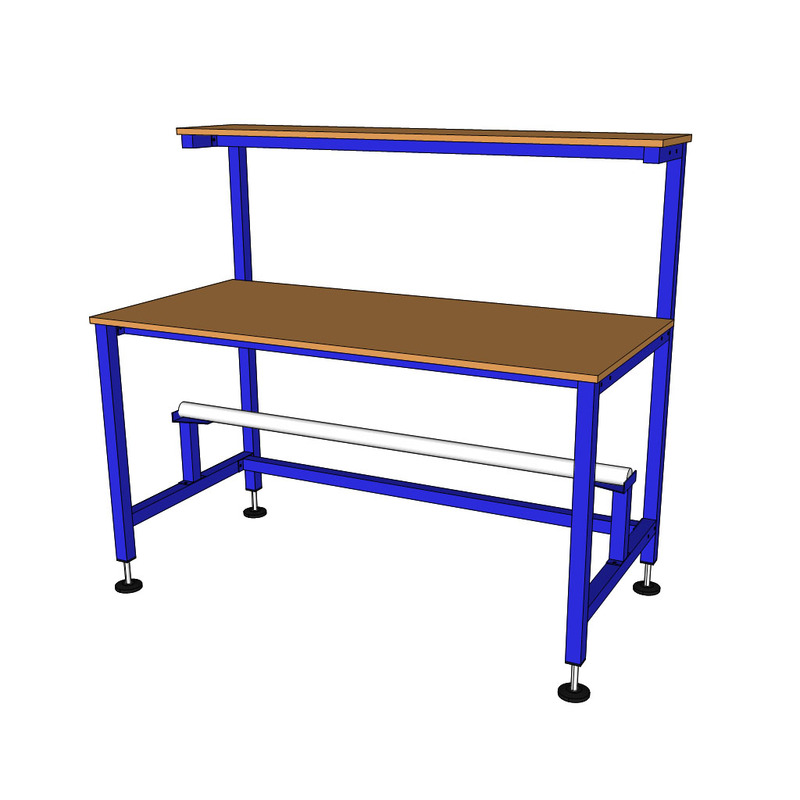 This type of unit can have all the IT and any electrical items built into the unit. 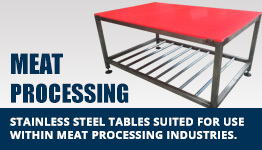 Ideal packing units for integrationinto inline packing for packed products into baskets. 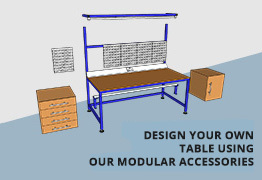 The gravity section allows the packer maximum time to pack and minimum time to change totes, a real time saving packing workstation. 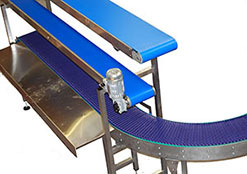 The operator simply packs the product as it passes them on a separate belt, this allows line leaders to control the speed of the line rather than the packers. 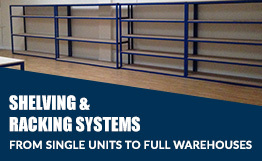 Used maining within pack houses for manual weighing and packing of product into punnets or trays. These systems allow the product, the packaging and waste to be processed. 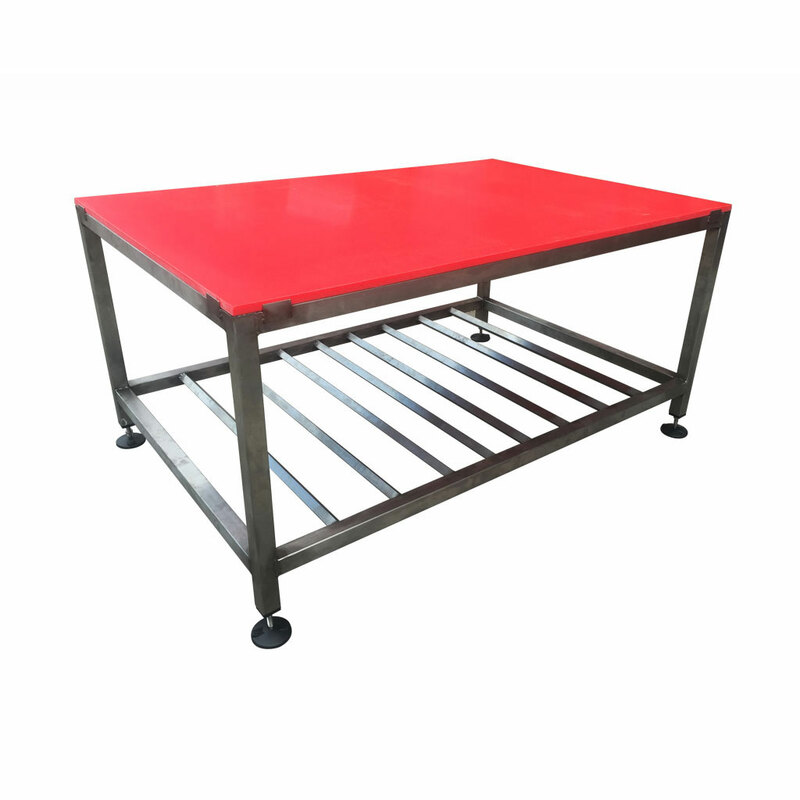 Each stainless steel table has a weigh cell which can be built within the work station. 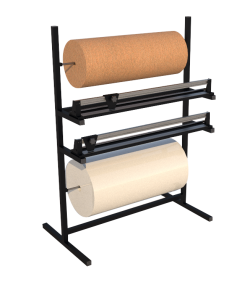 These units are often used prior to flow wrappers, and dependent on throughput will depend on the amount of operators required.